No garden space? These seven foods grow surprisingly well in containers. If you've never tried gardening, because you don't have space or don't know how to get started, here's good news: some plants grow surprisingly well in pots. Start small with a mini herb garden and salad greens on your windowsill or some cherry tomatoes and peppers by the back door. Now you have no more excuses not to grow some of your own food! Here are some easy ways to get started. If you have a small space for a garden, try growing tomatoes in pots and enjoy the fresh flavor of juicy, homegrown tomatoes. Choose a variety that is well-suited for containers, water consistently and make sure your tomato plants get plenty of sun. You can grow tangy bell peppers and spicy jalapeños alike in containers. Choose a compact variety, so that the plants don't get too big. Place pots outside in a warm, sunny spot and make sure they get plenty of water. It's possible to grow pepper plants in pots indoors, but you may need to provide supplemental lighting for the best results. If you’re eager to get some fresh greens on your plate, try growing microgreens. Microgreens are the first tender shoots of plants like collard greens, beet greens and mustard greens. They’re increasingly available to buy, but they’re pricy. Yet for less than $10 you can buy the seeds and soil to cultivate your own windowsill crop. If you have a porch or some bit of outdoor space, you can get some salad greens growing in a container. With many greens, you can just keep snipping them above the roots and they will continue to grow for an ongoing harvest. If you find yourself buying bunches of scallions that go bad before you get a chance to use them, next time you buy scallions, don’t use the whites—sprout them. Simply secure bulbs with a rubber band and place in a glass with an inch of water. Change the water daily and in about 7 to 10 days new shoots will appear and the roots will double in length. Plant them in a garden or container and snip the greens as you need them. 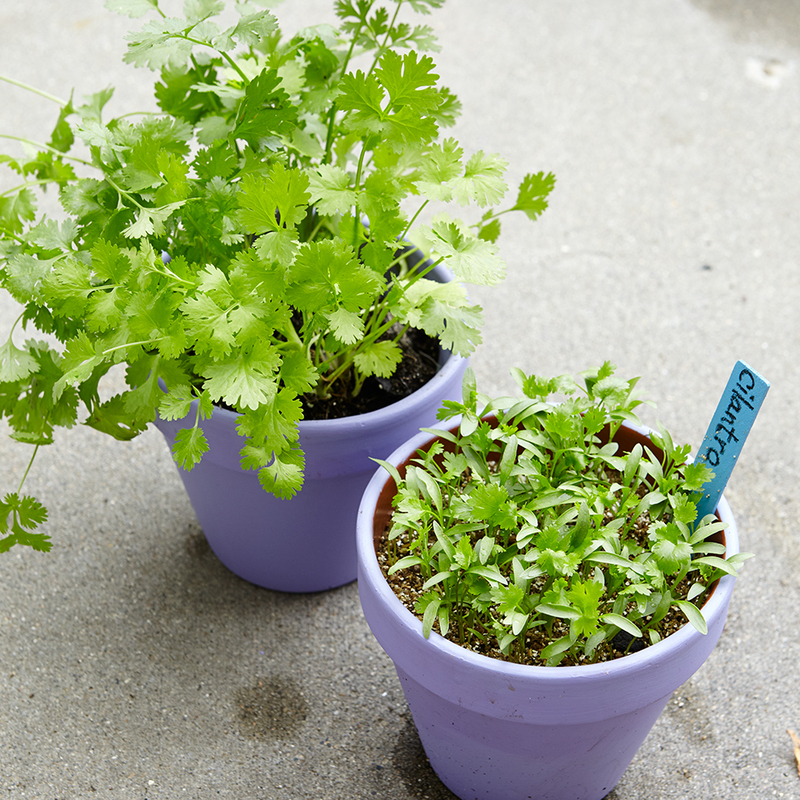 Grow your favorite mini herb garden on your kitchen windowsill and have fresh herbs whenever you need them. You'll save money too: just snip what you need and avoid wasting an expensive bundle from the grocery store. Look for harder-to-find varieties like purple basil, licorice-flavored chervil or herbal-cinnamon shiso to add some new flavors to your cooking. Want your own crop of specialty mushrooms? 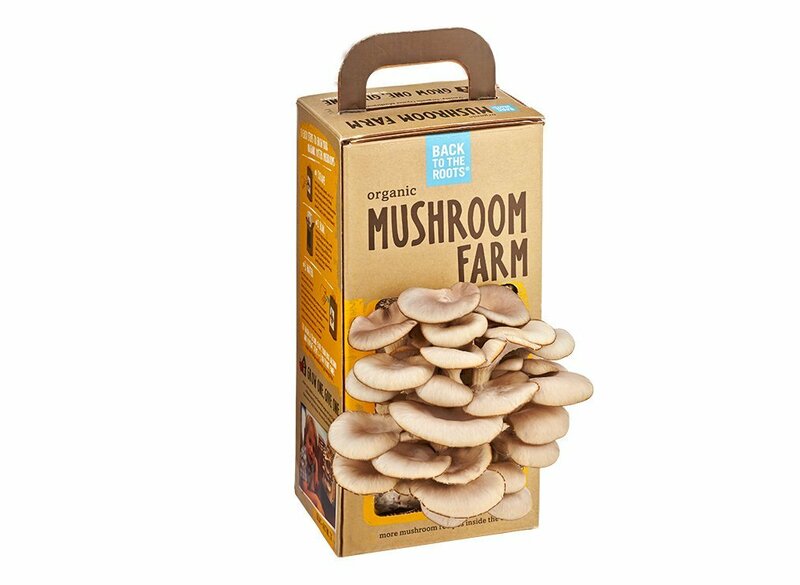 Try an easy-to-use mushroom kit, which lets you grow mushrooms in a nicely contained indoor box. Fungi Perfecti offers hard-to-find varieties, such as Lion’s Mane and Nameko (Fungi Perfecti, fungi.com, $25), and Back to the Roots (backtotheroots.com, $19.95) uses recycled coffee grounds as soil and donates to urban gardens. Just open the box, place on a windowsill and mist the recycled coffee ground “soil.” Kits yield up to two pounds, with the first crop ready for harvest in 10 days. Some original reporting by Kerri-Ann Jennings, M.S., R.D.